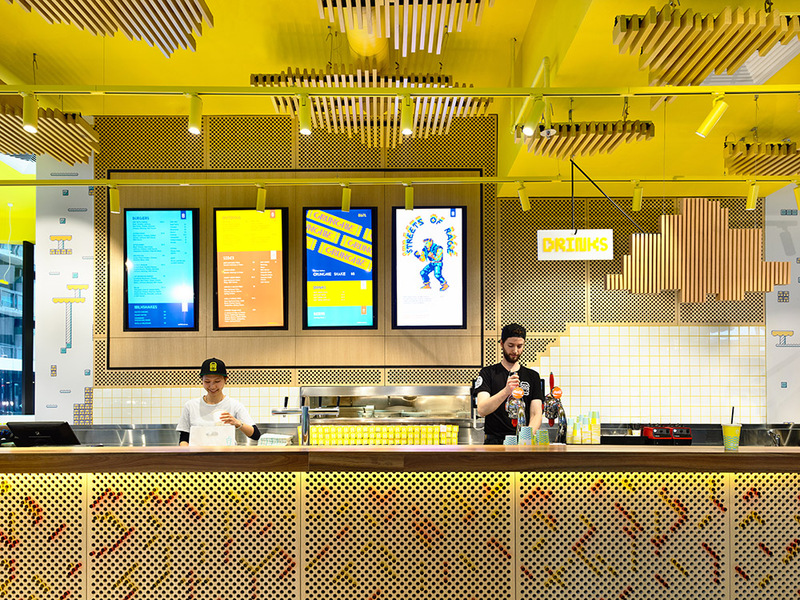 Architects EAT’s design for burger chain 8Bit brings to life the pixelated world of computer game Minecraft through colour and graphical representation. 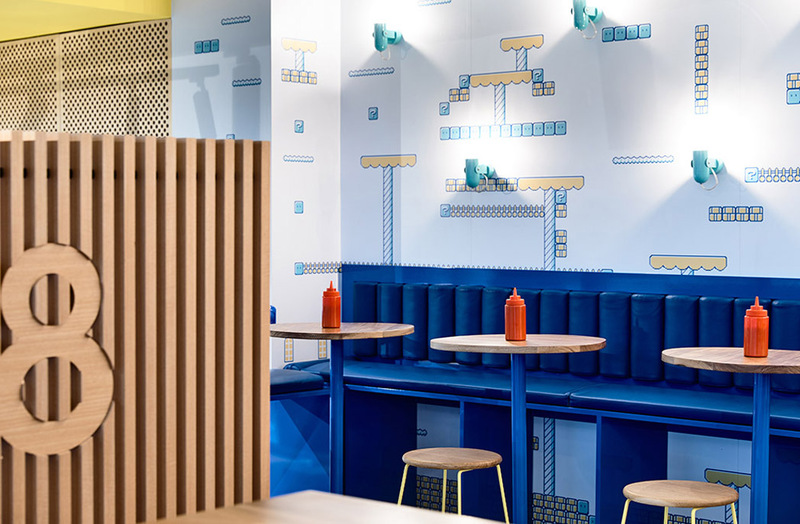 At the heart of the design is the restaurant’s regular clientele; 8Bits’ demographic sits between the early 20s to late 30s – those that have lived through the original 8 bit video games and those that are discovering them for the first time. 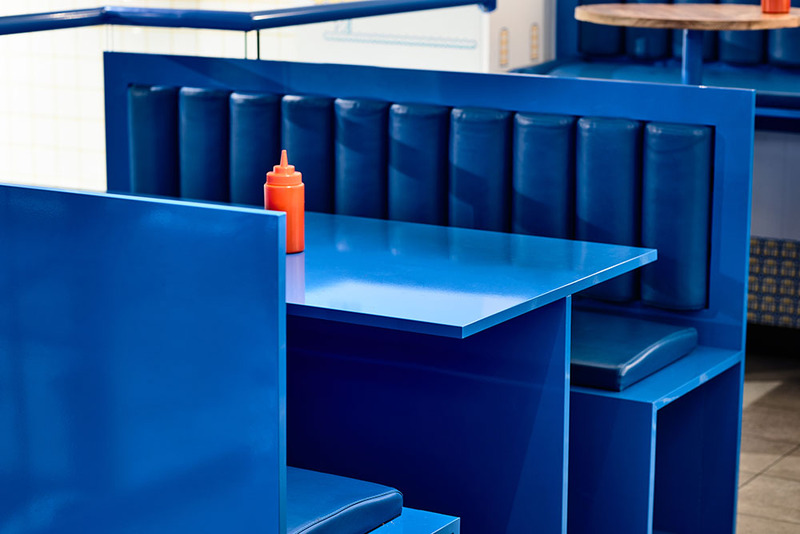 Using this as a reference, Architects EAT created a feel reminiscent of the 1980s. 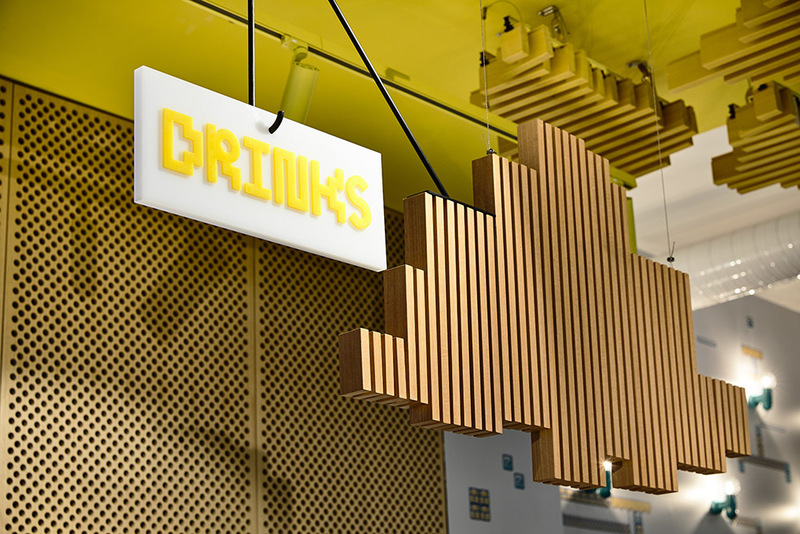 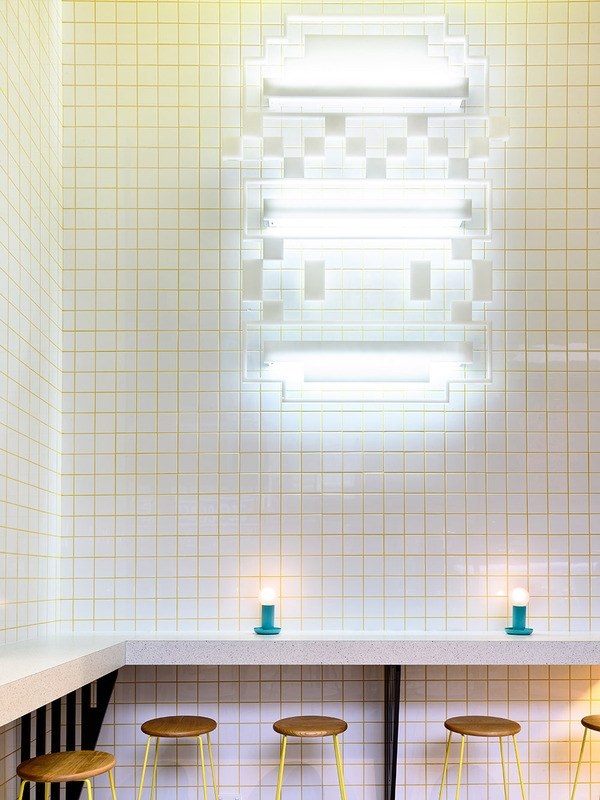 Towards the rear of the diner, in the heart of the dining setup, sits a pixelated suspended green tree – a nod to Super Mario Bros – intended as a visual anchor and acoustic intervention. 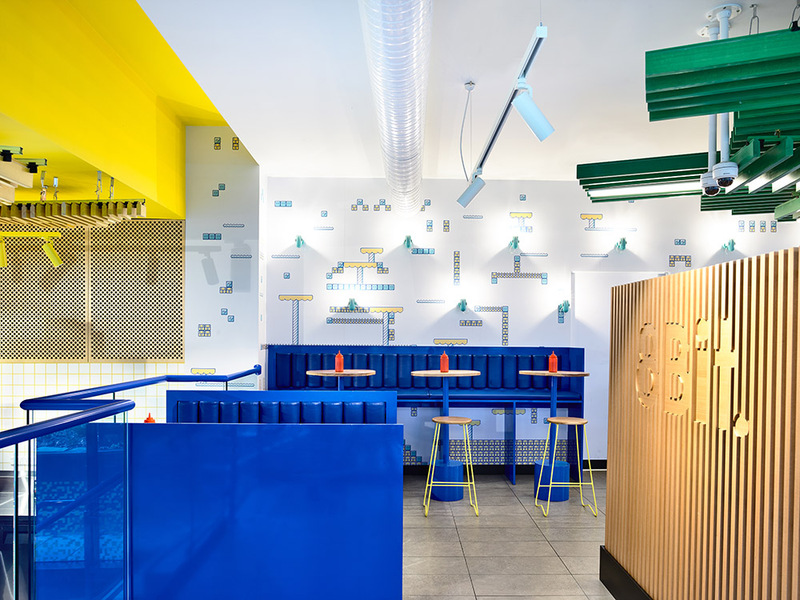 The use of colour for the handrails, seating, lighting, graphic walls and fixtures is reminiscent of games such as Donkey Kong, Pac Man and Space Invaders.